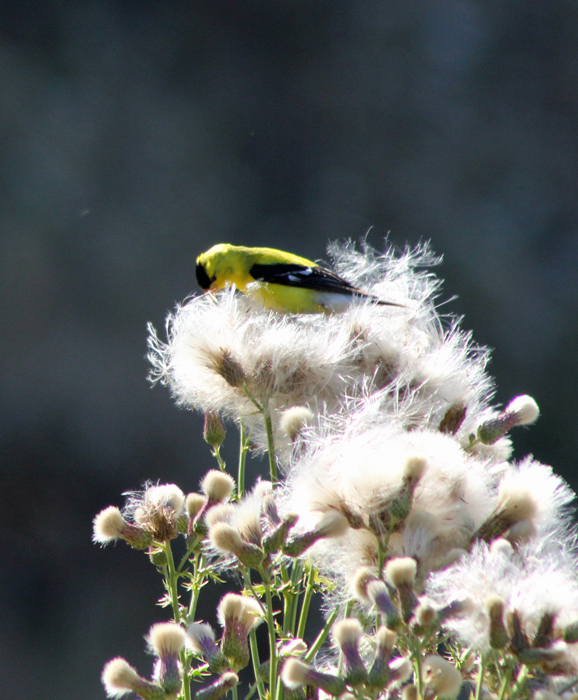 The summer has been flying by, just like the little Goldfinches. Each morning starts with them taunting me…I can hear them through the windows and just as I grab my camera and sneak out the door, I see them flying away and singing their little song. 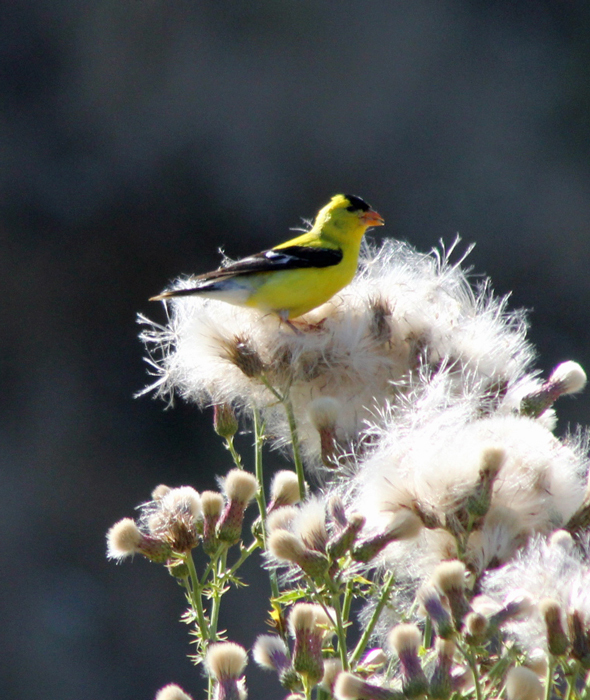 I have so many favorite birds that visit our farm – quail, swallows, doves, pheasants, but I think the goldfinches top this list. 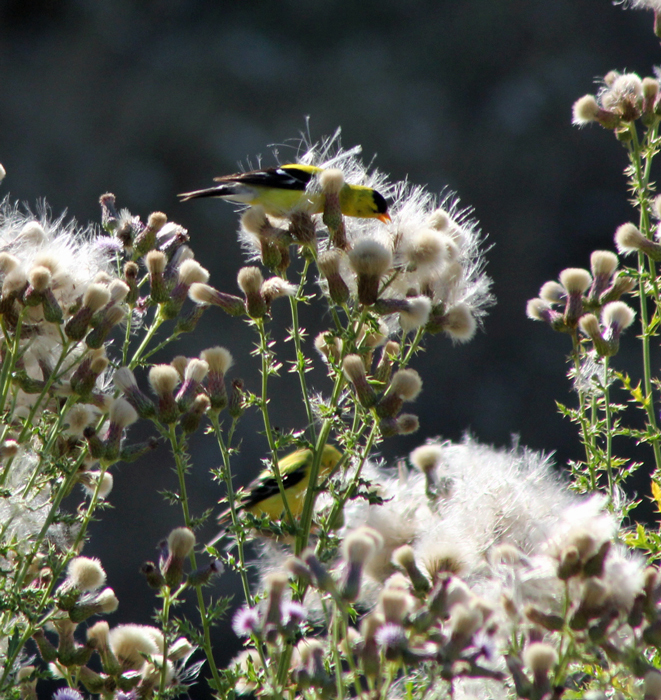 Their vibrant colors and joyful chattering is very contagious. You can’t help but be happy when you are watching them. 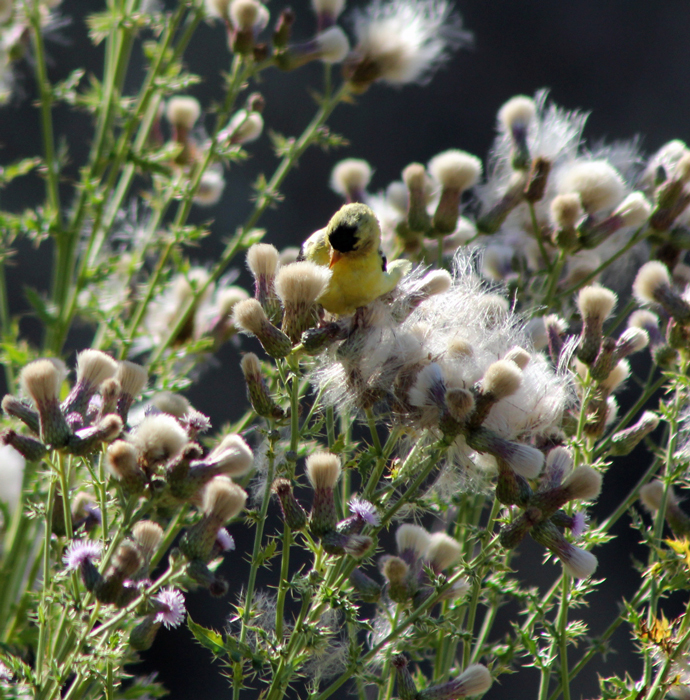 They were focused on the thistle and I finally got the pictures I was hoping for! 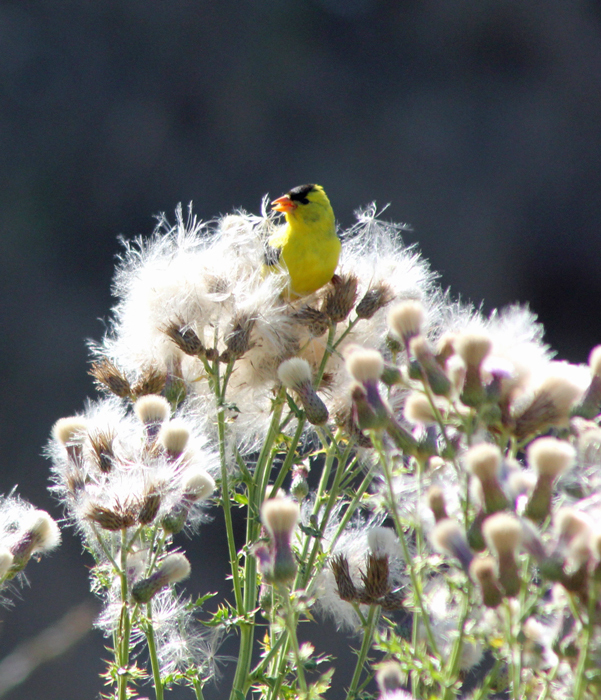 I’m not a fan of the thistle, but I do love the goldfinches that it brings!